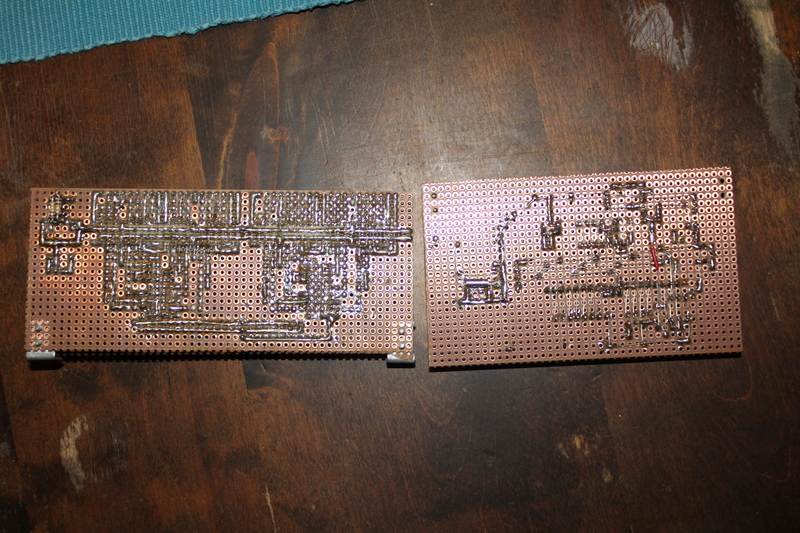 Board in the right is the mainboard. 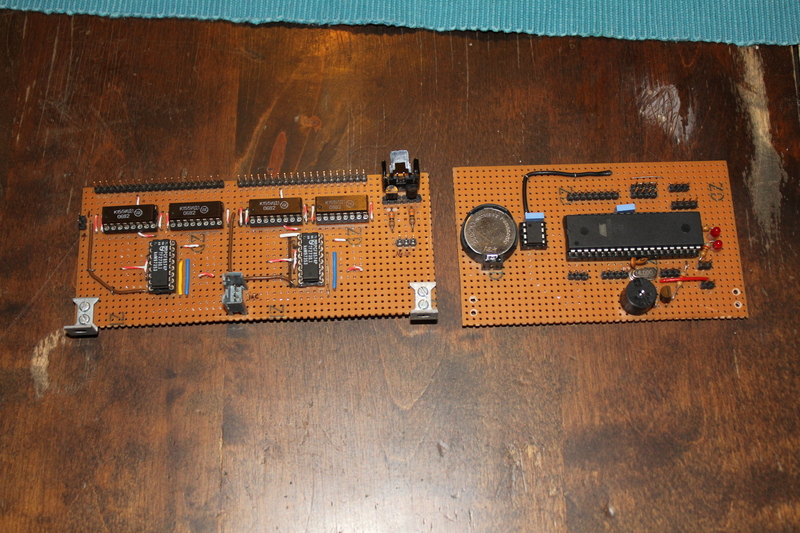 It looks little bodgy, I didn’t have as much patience as before making a nixie controlboard from leftside of image. This time I didn’t floodsolder traces, but used striped single core wire. As you can see the mainboard is much more clearer and simpler. I did not fully flow schematics and layout plan. I moved some connector and traces, completely rearranged RTC’s battery and crystal and added leds for 5v and 170v indication. 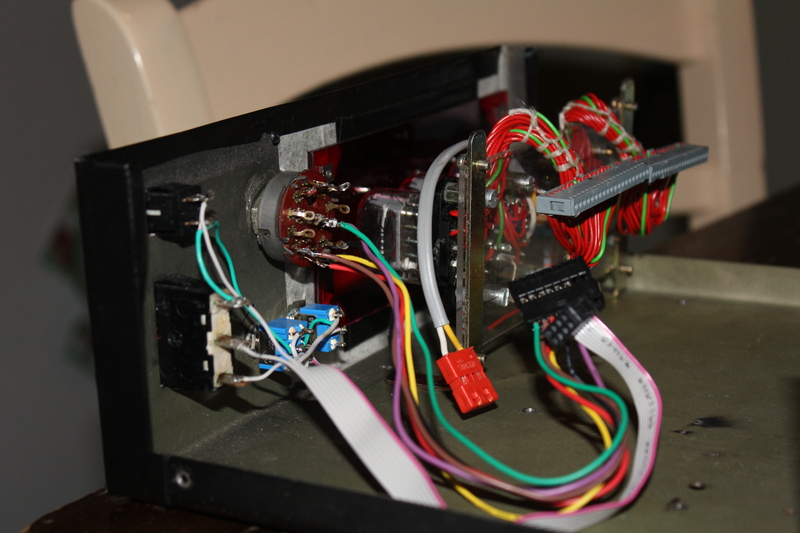 Later can be also used when debugging because it is software controlled(control signal for nixie swich mode psu). I also wired frontpanel switches to connectors. I’m not yet entirely sure about a rotary switch configuration, so I connected some extra contacts. I am also still thinking where to place mainboard. Therefore I left some excess length to the wires. Again, those bloody single core wires. But I’m out of normal proper wires, and in the other hand striping and crimping connectors to multicore wires are not too easy compared to single cores. I have still much work to do. I need to make little board for nixie power supply with adjustment pot and connectors, and also make cables to connect different boards together. But thats for tomorrow, I have had too much burns and solder fumes for one day.